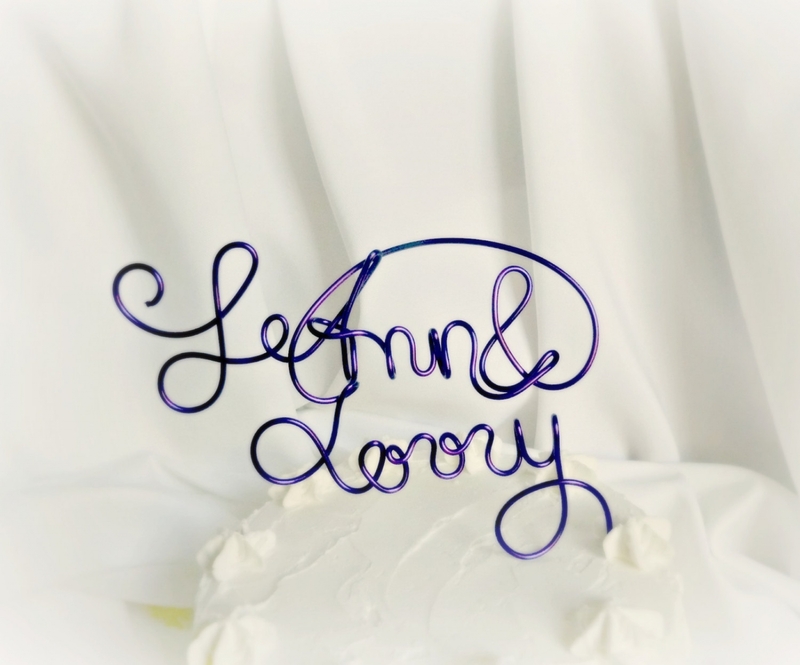 Customized cake topper personalized in your names and color of choice. 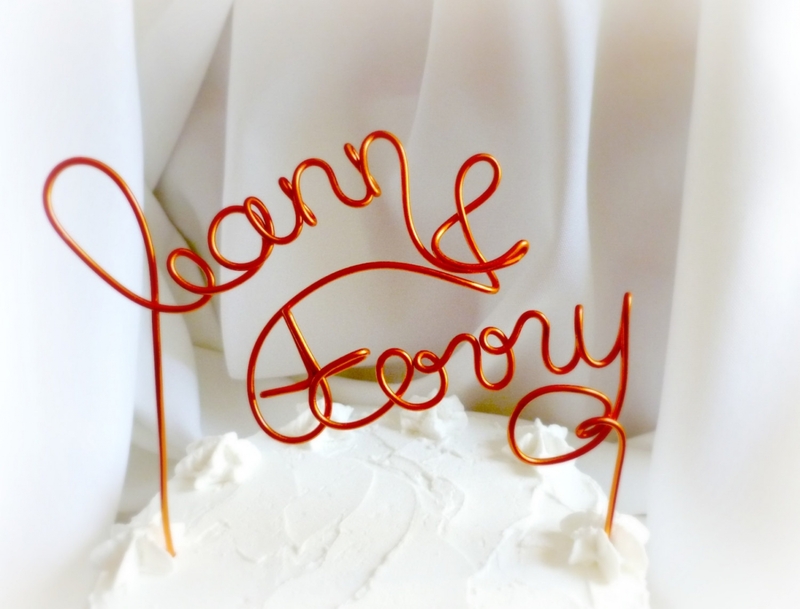 Shown on a 6 inch cake. If you need adjusted to a larger cake, please let me know. 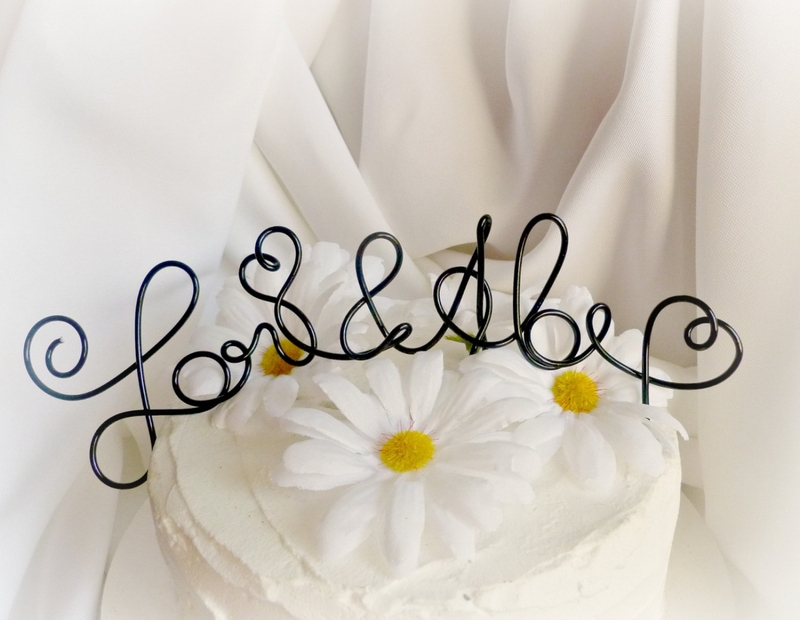 Perfect for weddings, engagement parties, anniversaries and more. NOTE: If your names work out to more than 10 letters PLEASE contact me before purchase. I will make it happen but I would need more details on your cake first as well as potentially alter the design to suit your needs. LEAD TIME: Ships within 14-21 business days. Kindly plan accordingly or message for rush options. Thanks for stopping by. Don't forget to bookmark so you can find your way back!